If there is one main issue most websites have is that they are on Cheap Web Hosting solutions. One of the biggest issues any website can have is the owner’s decision to host with a low-cost provider. Just because WordPress is free to use and there are free themes and tools available, does not mean your site should be free. The smarter you invest your time, resources, and money on a website, there is a higher probability your site will have success. It’s even more important when your site has business objectives and is part of helping you create income. For years I stuck with Godaddy because it was inexpensive; that came with a high price. Service was not up to par. On my personal websites and blogs, I would lose out on opportunities because the site did not appear the way it should. It did not load at a reasonable speed, and on occasions, it did not load at all. I would have to do extensive troubleshooting and cleaning of malware files on my websites. Even when using a framework like Genesis, which makes my life easier, my cheap hosting provider Godaddy, was creating problems. When I used Drupal, it was worse and almost impossible to keep up. How Expensive is Cheap Hosting? I paid $8 a month and worked at least 10 hours a month for that hosting provider's faulty servers. If I factor in the average of what I bill per hour at $125, then this hosting was closer to costing me around $1,008 instead of $8 a month. More than a year ago I followed the advice of my friend and strategic business partner Nando Caban. He had been using WP Engine for quite some time. As soon as I started moving my websites over, I understood why he was such a big fan. WP Engine not only made it easy to transfer any website it also has a ton of tools that do it for you. If that still does not work for you then you have ongoing support which will guide you through each step. The first thing I noticed was that my websites where loading a lot faster than before. The reason sites load faster is because WP Engine offers a Content Delivery Network (CDN). A CDN distributes your website's files throughout different geographical locations. Since the data is closer to you geographically, it reaches your device quickly. WP Engine also makes it a lot easier to maintain wordpress. As a WordPress Developer, I have to maintain many websites for clients and that can take a lot of time. When I log into the dashboard, I have quick access to the other websites I manage and their components. I fell in love with their security infrastructure. 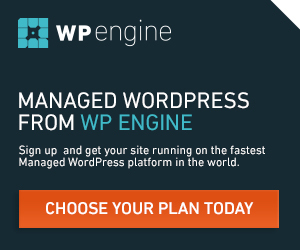 Since WP Engine is only built for WordPress, they optimized the whole environment for WordPress. That means you have an extra set of hands when there is a WordPress vulnerability going around. They restrict plugins that might cause you issues. The are also great at communicating when there are spikes in cyber attacks. The also provide you with some preventive steps and measures to deal with security issues. In the years I have worked on hundreds of websites, I have dealt with dozens of hosting providers and I have to say that nobody has made it so easy and given me so much peace of mind. So now I might pay $29 per website or $100 for up to 10 WordPress environments, but I don't spend an extra minute dealing with a faulty environment. My clients, customers, and website visitors are happy. There is no price on having a reliable website uploading.